Rough-hewn interior paneling and a well thought out floor plan create an inviting living space for this Canadian man. 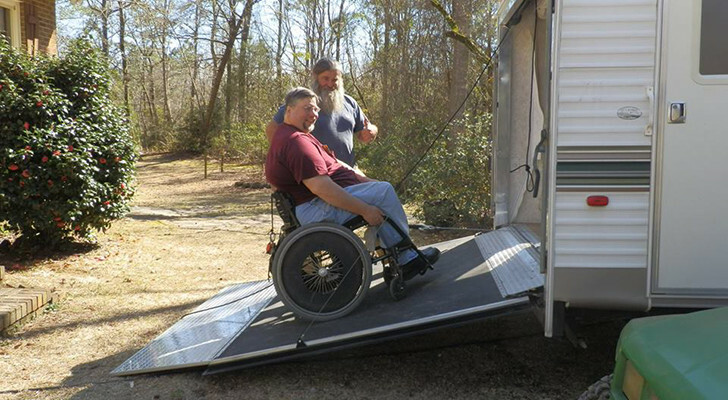 For those who have spent any time researching full-time life on the road in a motorhome, coach or RV it will come as no surprise that transit buses and even school buses are preferred platforms for this type of living arrangement. 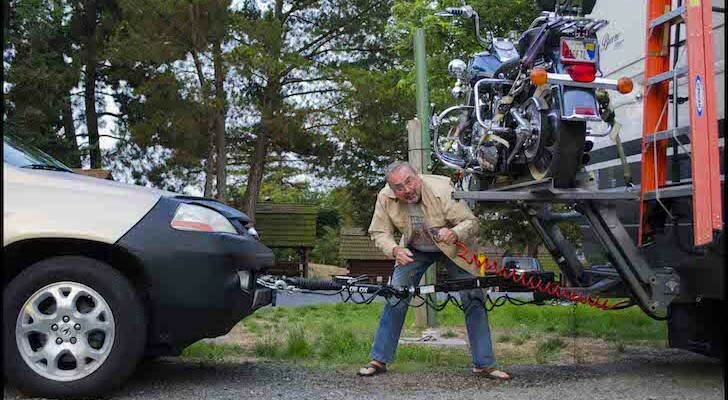 For one, they’re typically more durable than the average motorhome. Their drive trains routinely run a half million miles or more – in town, in traffic. 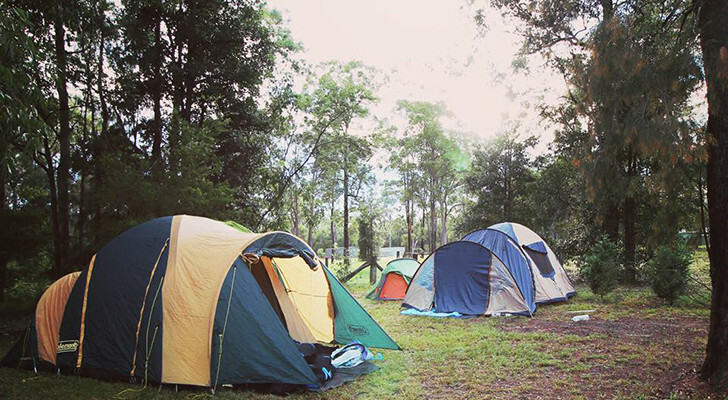 Secondly, they’re arguably safer, with a frame that is engineered to protect lives in the event of a crash, versus stripped down to get the most living space with the least weight for best fuel efficiency. 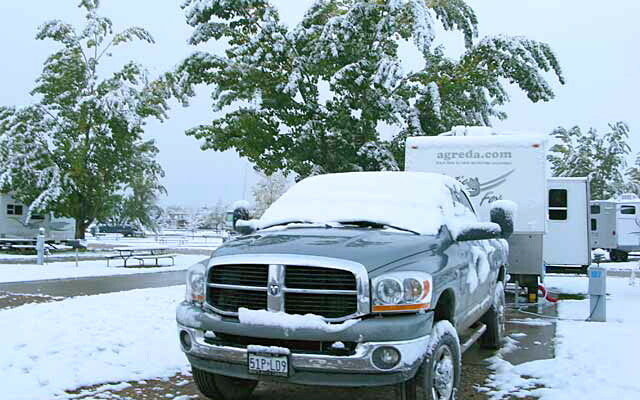 If you look for articles about RVs online much, you’ve seen what I’m talking about, a standard motorhome will collapse like a cardboard box when put under stress. 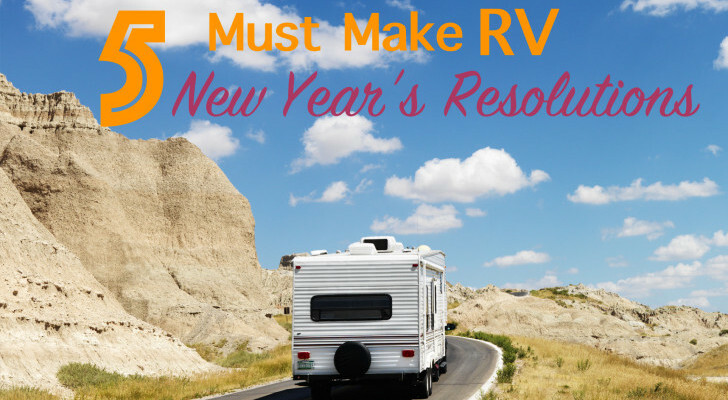 This view bares the only good resemblance to the school bus this RV started out as. 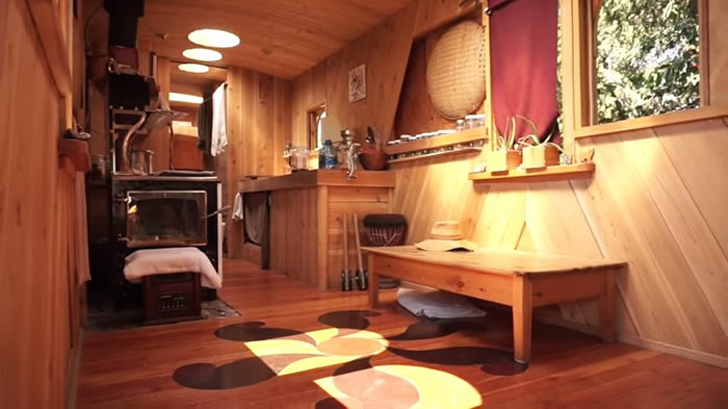 So, when a Canadian man, Jade, decided he needed a truly green home, a school bus was his chosen vehicle. What? School buses aren’t green? Sure they are if you run them from recycled bio-diesel from used cooking oils. Mat and Danielle of Exploring Alternatives stopped by for a visit, and here’s what they found. A great open plan and custom woodwork set this bus apart. This particular bus is hardly recognizable as what it once was. 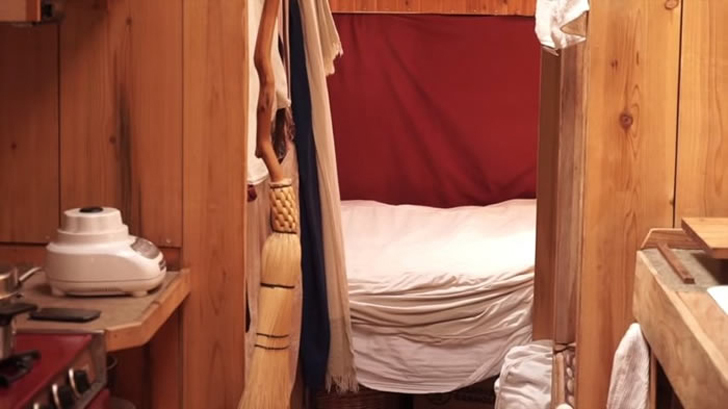 Instead of keeping the bulk of the body intact, as is common, the bed section was cut away from the “waist” up and a beautiful wooden cottage was anchored to the bed and lower walls. The buses’ front doors remain next to the custom arched windows. One of the first things you notice when looking at images of this bus renovation is the amazing amount of space inside. 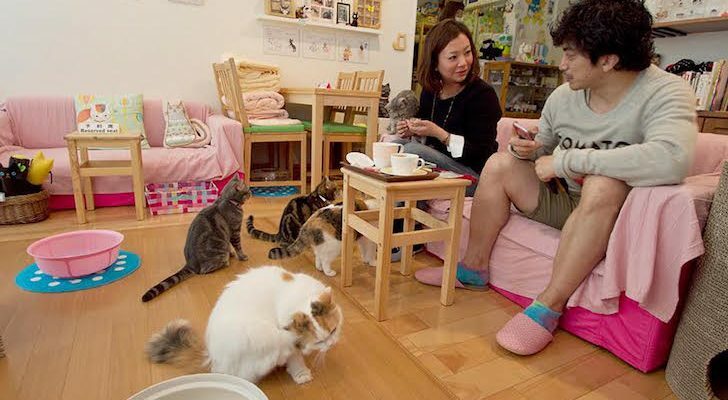 This is accomplished by doing two things, first, the floorplan is open. The cabinetry and furnishings are kept to a minimum. Second, the roof is raised to a gorgeous barrel-paneled ceiling to increase overhead height. 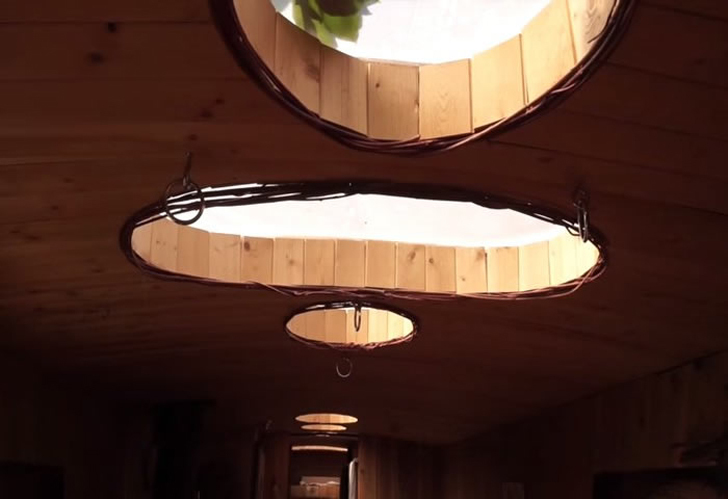 A series of large round skylights provides lots of natural light. Since the exterior windows were lost in the process, this bus features a series of round skylights that provide tons of natural light to create a warm glow in the nearly all-wood interior. A few arch-topped windows built into the side walls provide views and even more light. 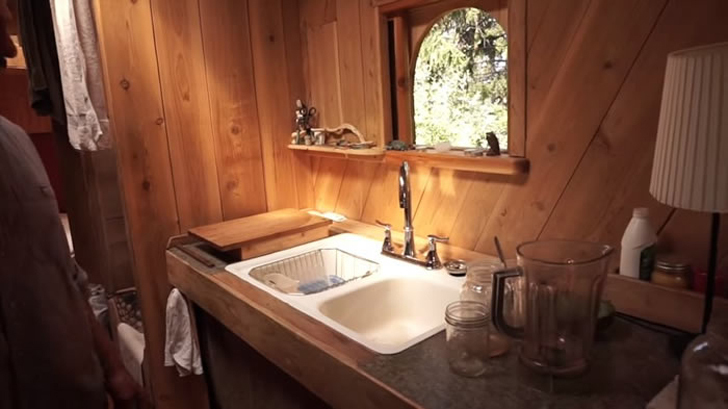 The full-sized kitchen sink sits in a rustic counter with concrete top. 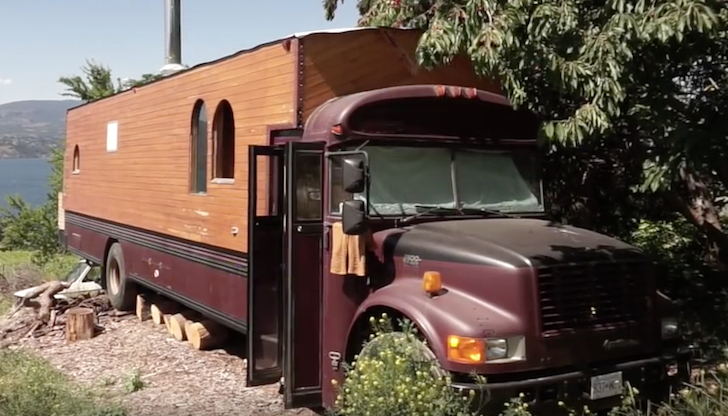 The rough-hewn styling of this home on wheels provides a few advantages over a more modern look. First, it’s a simple style to build. In most cases it would be ideal for a beginner, although this design incorporates some tricky curves in the skylight and vaulted ceiling. Second, the materials are plentiful and can often be salvaged. Last but not least, its rugged and easy to repair when needed. 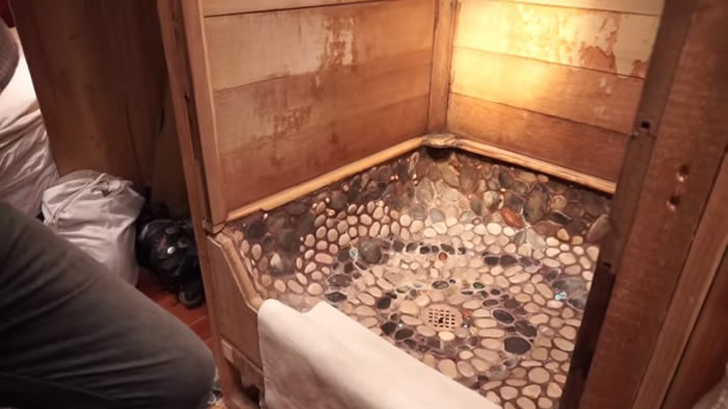 Shower pan tiled with pebbles. Pretty, but it looks slippery when wet! 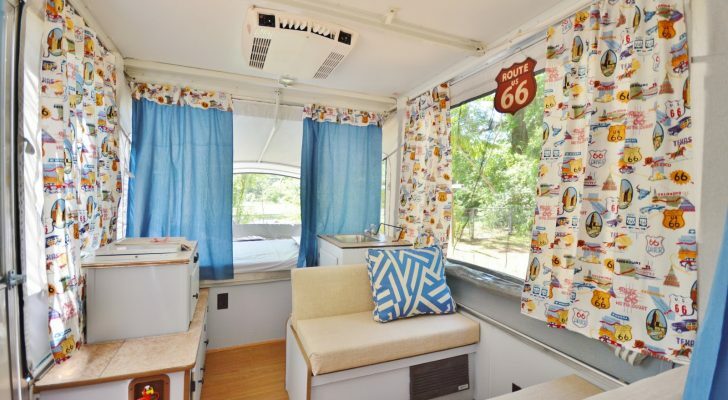 In addition to the large open space, this bus features two custom additions, a separate “bed chamber” at the rear of the bus for privacy and a gorgeous shower with wooden side walls and a one-of-a-kind pebble-tiled basin. The rest of the sparsely located fixtures look simple and the additional space makes the inclusion of full sized items, like a real kitchen sink, possible – creating a functional living environment. A separated sleeping space at the rear of the bus provides some privacy. You can easily tell the handiwork needed to create the custom interior by the intricate marquetry work in the hardwood floors and the neatly trimmed arch topped windows. This skoolie appears well designed and executed throughout. The construction feels like it followed a fluid “plan in progress” that was allowed to take as much time as needed to get the desired result. 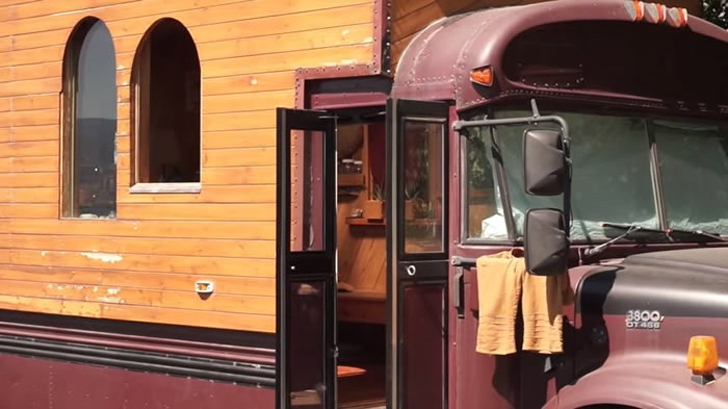 The exterior features the same cedar paneling as the outside for a rustic, “modern gypsy caravan” feel that makes this bus what it is – a home! 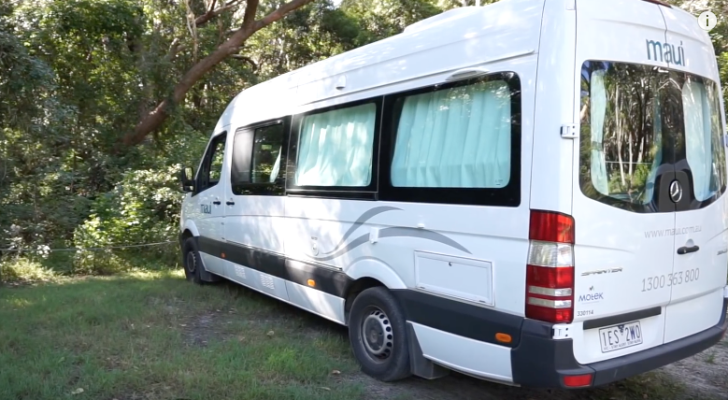 Hear more from the builder on his reasons for transitioning to a skoolie lifestyle.